A rosary will be held on Thursday, September 20, 2018 at 6:00 p.m. at Crippin Funeral Home Chapel, in Montrose. A Funeral Mass will be held on Friday, September 21, 2018 at 10:00 A.M. at St. Mary Catholic Church in Montrose. There will be a Graveside Service at Valley Lawn Cemetery where she will be laid to rest next to the love of her life. 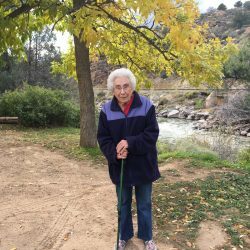 Connie Ruybal, age 91, passed away at her home in Canyon City, Colorado on September 11, 2018 surrounded by her family. Born on August 7, 1927 in Capulin, CO to Presiliano and Felicita Lopez. Connie’s father passed away when she was five years old. The family moved to LaJara, CO., where she met and fell in love with Baldamar “Bill” Ruybal. Bill and Connie married after he returned from Germany during World War II on November 6, 1946 and would have shared forty-six years together. In the 40’s, they moved to Montrose, CO. and eventually bought a farm south of Montrose where they raised their three daughters. While still having the demands of a farm, Connie continued to work out of the home. She spent several years at JC Penney’s and later at Montrose Memorial Hospital until she retired. 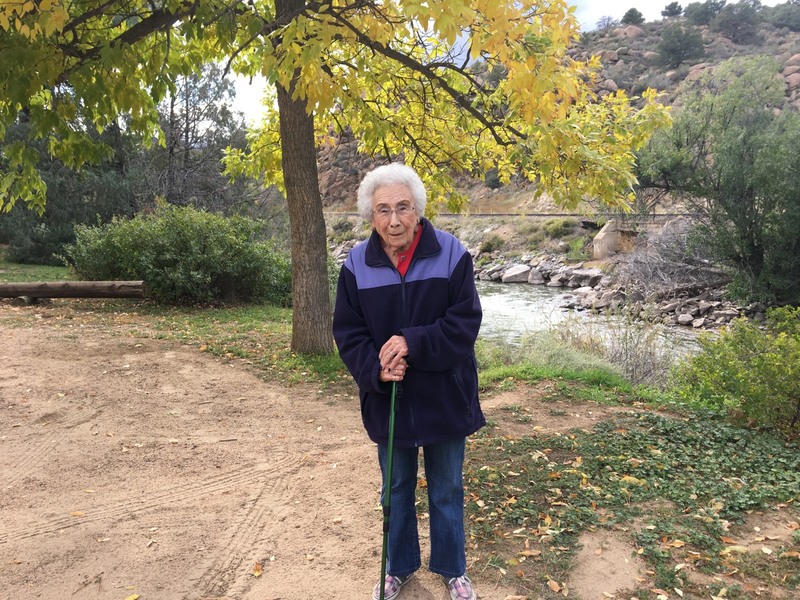 In 2002 she moved to Canon City, CO. where she made her home until her time of death. Connie was a devoted wife, loving mother and grandmother. She loved her family with all her heart. Some of her greatest joys were family gatherings, which always had food, music and dancing. She loved camping, BBQ’s and holidays. Christmas was one of her favorite times of the year. Connie loved to decorate her house and yard. She had a strong Christian faith and instilled into her children and grandchildren. She enjoyed hosting bible studies in her home up until her time of death. Connie is survived by her daughters Evelyn (John) Gonzales, Annabella (Jake) Sandoval, Hazel (Tom) Garcia; grandchildren Geno Sandoval, Raquel (Allen) Mullineaux, Billy (Dolly) Gonzales, Nichole Sandoval, Tisha (Chris) Bennet, Tommy (Stephanie) Garcia; Great-Grandchildren David (Sarah) Mullineaux , John (Tori) Mullineaux, Daniel Mullineaux, Gabby Gonzales, Anna Gonzales, Angelina Gonzales, Jazmin Munoz, Monica Munoz, Mark Munoz, Crystal Bennet, Cale Bennet and Caden Bennet, Miguel Garcia, Britney Garcia, Micah Garcia and Lorena Gonzales; one great-great-grandchild Wyatt Mullineaux. Connie is preceded in death by both parents, her husband Bill Ruybal and her brothers Ramon Lopez and Pres Lopez, sisters Elma Quintana and Ester Valdez. A rosary will be held on Thursday, September 20, 2018 at 6:00 p.m. at Crippin Funeral Home Chapel, in Montrose. A Funeral Mass will be held on Friday, September 21, 2018 at 10:00 A.M. at St. Mary Catholic Church in Montrose. There will be a Graveside Service at Valley Lawn Cemetery where she will be laid to rest next to the love of her life. Crippin Funeral Home & Crematory in Montrose is assisting the family.